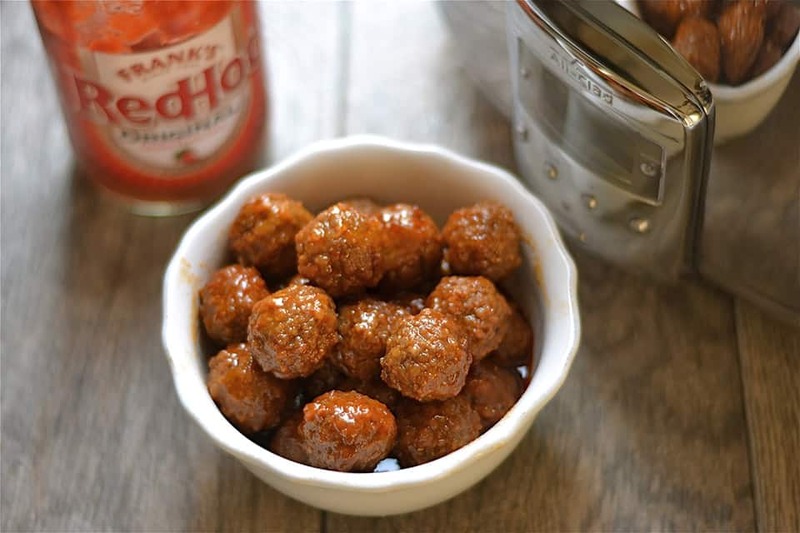 Spicy Buffalo hot sauce sweetened up to give these meatballs a deliciously tangy glaze! Your new favorite super easy appetizer that everyone will love. 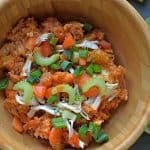 With holiday parties in full swing, football playoffs around the corner, and of course Christmas and New Year’s Eve, everyone needs a super easy no fail recipe that is sure to please a crowd. 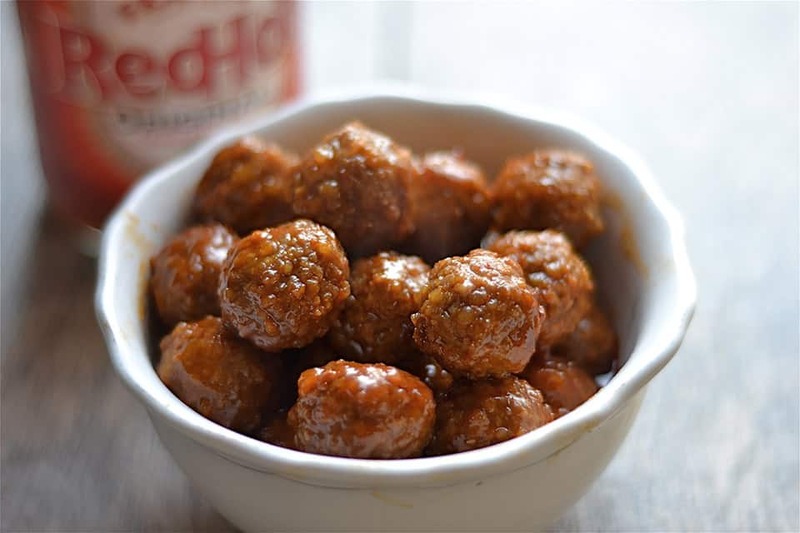 These meatballs are PERFECT! I whipped these up last weekend and brought to a friends’s house to watch one of our favorite sporting events: Army vs. Navy football game. These were a big hit among the adults and kids! Anything with buffalo sauce is a brilliant idea when it comes to football food. And although I am about 30% on board with buffalo wings, I am like 120% on board with buffalo meatballs! Don’t ask about the football game. It’s be a loooooooong time since that game has worked out for us……Let’s just change the subject. The best part about the meatballs was throwing it all into my slow cooker. Definitely hitting the EASY button with this recipe. I also took a few other shortcuts. Instead of making my own meatballs, I used the frozen ones at Trader Joe’s. Don’t judge. I have no shame. I’m all about the shortcuts in December. A few months back, I made some crockpot meatballs that have been a huge hit on my blog. 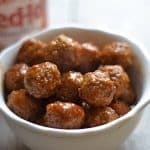 If you want to be an overachiever make your own Gluten-Free, Paleo Meatballs, then head to my Slow Cooker Paleo Turkey Meatball recipe and use that with this sauce!! I have to mention something about this sauce. It’s really really good. Like you’ll be saving this recipe and making it all the time good. Besides being really good, it’s also on the spicy side. I tend to like things pretty hot. I forget about this little fact and need to tame the spiciness down. My friend asked me to make some meatballs that would be “kid friendly”. 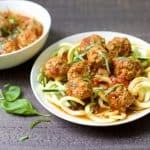 Let’s just say that a few kids really liked these meatballs, and some of them thought they were a tad bit spicy 😉 So if you have a spicy food aversion, I would cut the amount of buffalo sauce to 3/4 cup sauce and go from there! All the adults loved them! In a small bowl, mix together hot sauce, honey, preserves, soy sauce, and dijon mustard. Whisk until smooth. Pour half of the sauce along the bottom of your slow cooker. 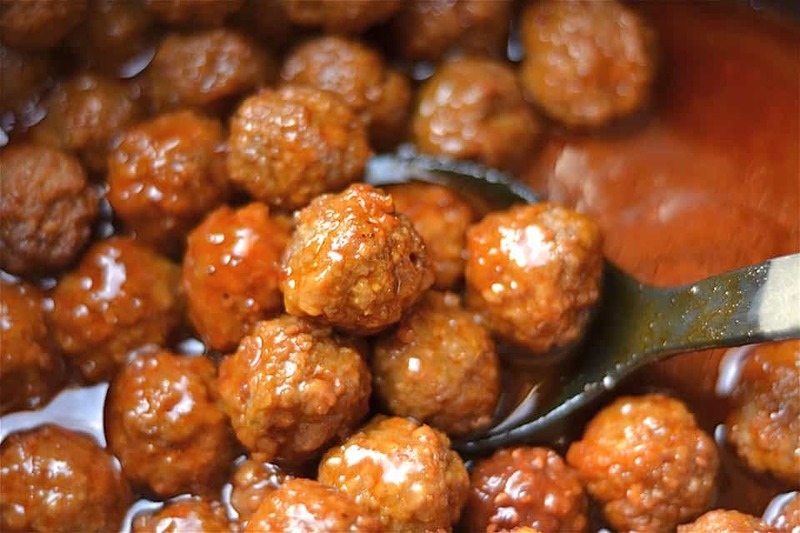 Place frozen meatballs on top of the sauce. Pour remaining sauce on the meatballs. 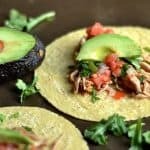 Set your slow cooker to low and cook for 3 hours. 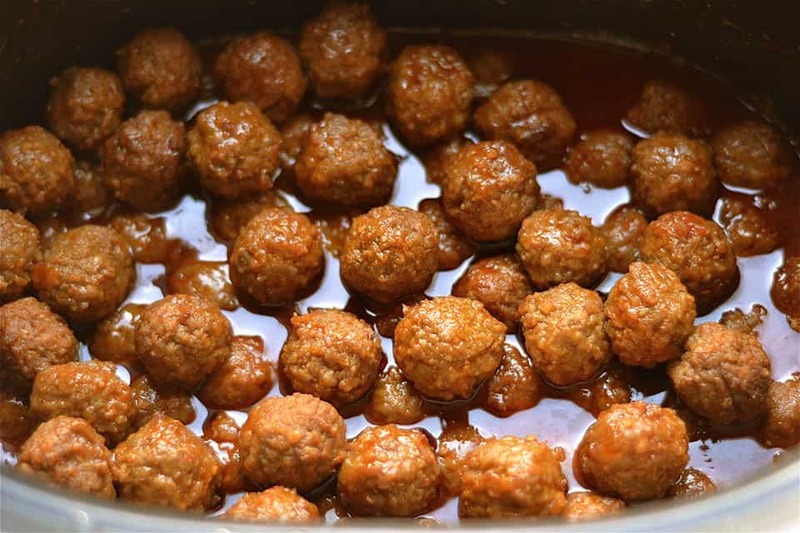 Change temperature to warm, and allow your slow cooker to stay at warm while meatballs are being served. To use a Paleo or GF version of meatballs, use this recipe in place of frozen meatballs. 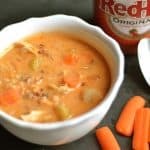 2/3 cup buffalo sauce gives this recipe quite a bit of "kick". You can adjust the heat and spiciness by lowering to 1/2 cup buffalo sauce and 1/4 cup water.